December is upon us, and our first semester is nearly over! Where did it go? I have had a very busy couple of months travelling on behalf of the University: from Canada, to China, to Amsterdam, to Australia. One of the best things about all the travel is meeting Surrey alumni. I am always amazed and impressed by their enthusiasm, energy and pride, and their collective desire for involvement in everything from mentoring to fundraising to hosting events. Each country I visit has its own unique alumni spirit and community, but I am always made so welcome that I feel right at home. On these occasions, even though I give a presentation about what’s happening at Surrey today, I feel like the real stories belong to my alumni hosts. Marcus Lee, who attended the recent Hong Kong alumni event, graduated from Surrey with a BSc Engineering in 1992. He is such an enthusiastic person, always with a sunny attitude toward life. 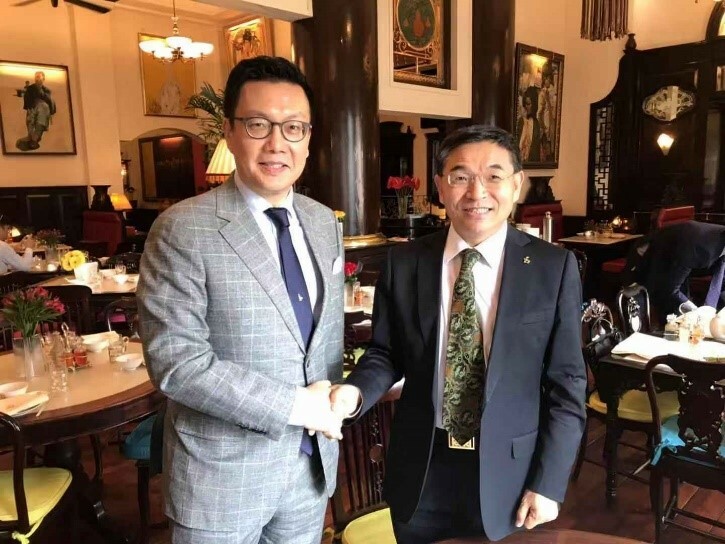 He runs a manufacturing business in China, a modern hotel and an education foundation in Hong Kong. It is very inspiring to hear the kinds of projects his foundation has supported, ranging from helping new immigrant children fit into local schools through sports, to providing scholarships for those from underprivileged backgrounds to go to university. His foundation has also kindly donated a significant gift to the University to support cutting edge research in clean energy and antimicrobial resistance, and scholarships to bright students who otherwise would have no means to come to Surrey for a world-class education. There is a wonderful atmosphere at these alumni events: nostalgia, reconnecting with old friends, and sharing views about the future. 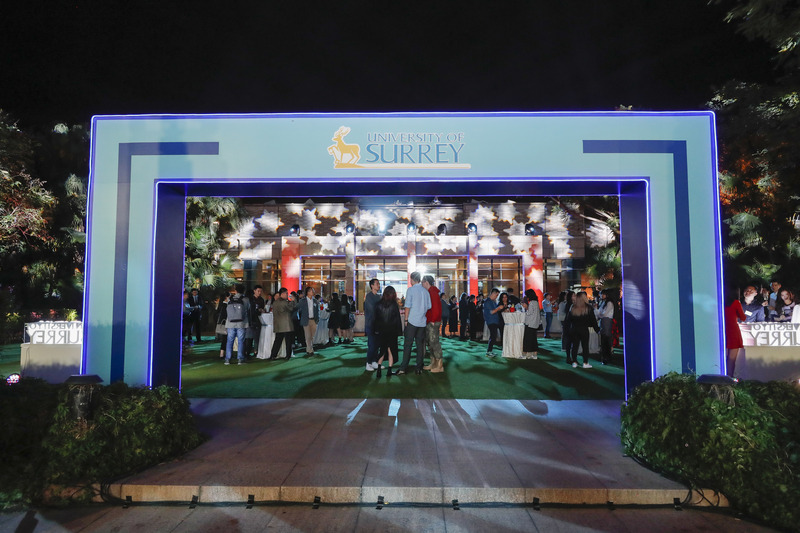 Surrey is lucky to have such a thriving and distinguished community of 115,000 alumni across the world. We are very proud of them and their vast range of achievements, and we aim to keep them as connected to Surrey as ever. After all, at Surrey, our strength is our people – our whole University community including students, staff, alumni and supporters makes us a great institution. Closer to home is alumna Nima Abu Wardeh, who left Surrey in 1990 with an MSc in Biomedical Engineering, and went on to a high-flying career in broadcast journalism. Not only that, she is highly regarded as an opinion leader, and has worked alongside the United Nations, the World Economic Forum and think tanks at both regional and global levels. 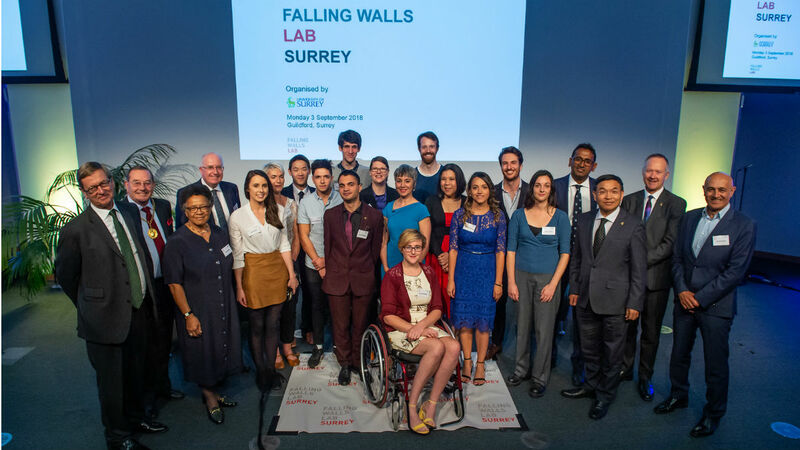 We were very fortunate to have Nima return to Surrey recently to chair our first Falling Walls Lab, a unique competition showcasing the region’s most innovative young minds, promising scientists and entrepreneurs. Nima’s experienced hand, skill and personality really helped the participants pitch their ground-breaking ideas and made for a fantastic and inspiring event. Marcus and Nima are just two examples of Surrey alumni who inspire and surprise me. Whether science, business or the arts – everywhere great strides are being made, you will usually find at least one Surrey alum! A strong sense of belonging and community is one of our best legacies to our alumni. Surrey is perhaps where they got their start, where they made their mark, or where they found kindred spirits to share their struggles and triumphs. That bond, and that affection, last a lifetime. In turn, alumni support of the University enhances our ability to educate new generations of young people who will push the boundaries of knowledge and scientific or artistic pursuit even further. Our quiet corner of Surrey is home to extraordinary talent, and is a powerhouse of innovation and learning. As we help to shape the future of society, I am proud to see how many of our alumni join us, support us, and believe so deeply in our mission. Together, we will succeed in our goals to educate and inspire more people to change the world for the better. But for the moment, I am looking forward to ‘staying put’ in Guildford and enjoying the Christmas break! I would like to wish all my readers a very Merry Christmas and a Happy New Year. Stay tuned to see where 2019 takes us!